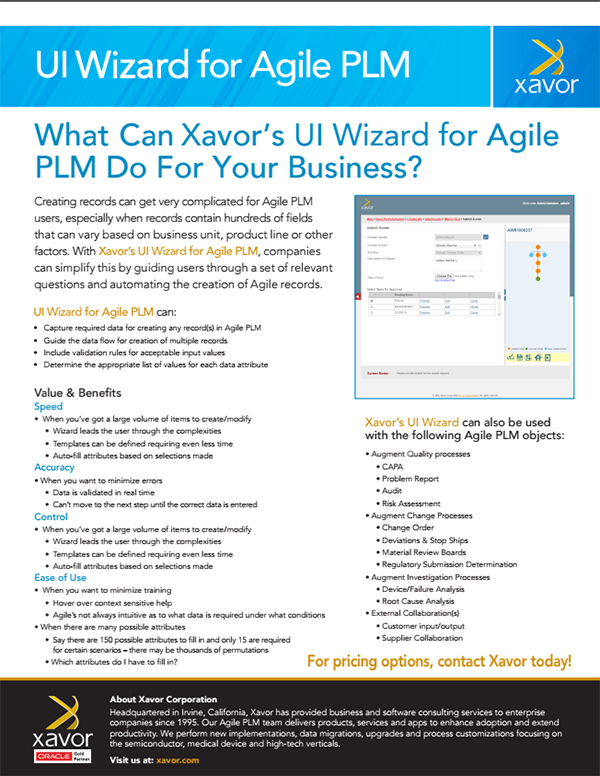 Creating records can get very complicated for Agile PLM users, With Xavor’s UI Wizard for Agile PLM, companies can simplify this by guiding users through a set of relevant questions and automating the creation of Agile records. Creating records can get very complicated for Agile PLM users, especially when records contain hundreds of fields that can vary based on business unit, product line or other factors. With Xavor’s UI Wizard for Agile PLM, companies can simplify this by guiding users through a set of relevant questions and automating the creation of Agile records.